Do you, like me, adore the look of that oh-so-cute Japanese crochet called amigurumi? 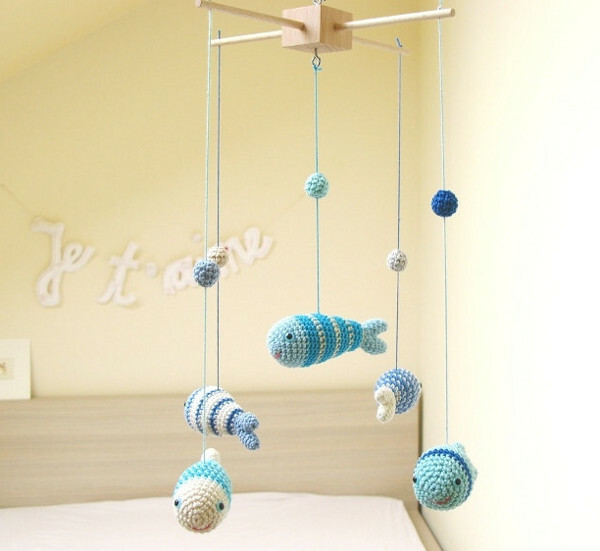 Hard to say, but easy on the eye – and now we’ve found the cutest range of crocheted nursery mobiles you could ever hope to see. 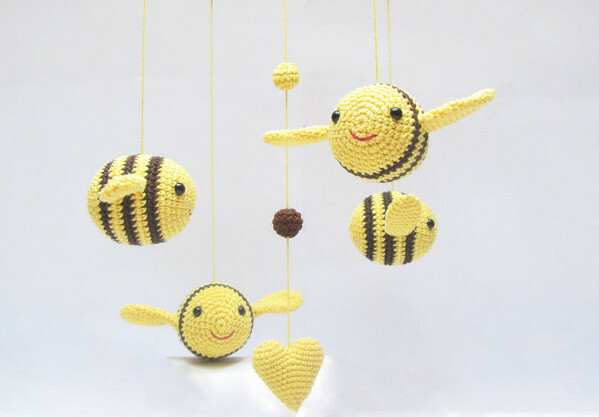 You’ll find them at Etsy store Cherry Time, which is awash with crocheted cuteness. The perfect nursery mobile can be the icing on the cake in a beautifully decorated nursery, and these ones are all made by hand to your specifications. There are several styles to choose from including butterflies and flowers, hearts, fish and bees. The best part? Because the mobile is made to order, you can choose exactly the colours you want to go with any existing scheme in the nursery. Cherry Time offers an enormous range of colours in all their mobiles. The mobiles vary in price according to size and complexity, but you should expect to pay between $70 and $120, depending on what you choose. Having several times attempted to make something like this myself (and given up!) I can assure you that this is a steal. You can look at the whole range and the available colours at Cherry Time. 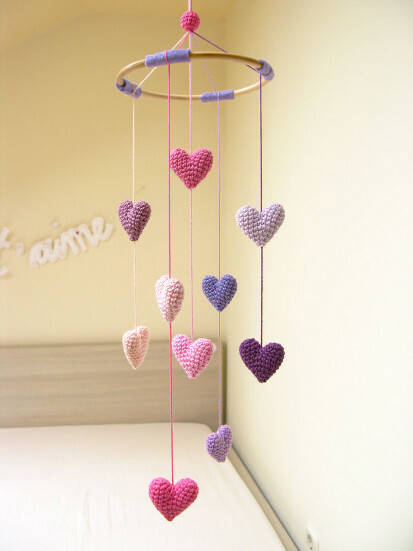 If you’re on the hunt for the perfect eye candy for your newborn to gaze at, check out our previous posts on baby mobiles.